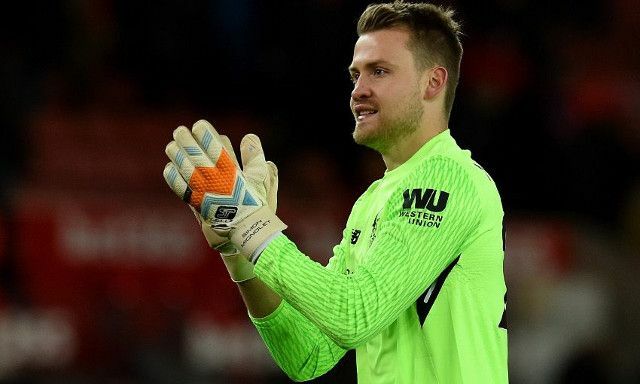 Simon Mignolet looks likely to stay at Liverpool this season after failing to find a suitor in the summer transfer window. The goalkeeper had looked a strong contender to depart in search of regular first-team football following the signing of Alisson from Roma for a then world-record fee. His agent even admitted at the time to the need to evaluate his options, with the Belgian having spent much of last season as the Reds’ backup shot-stopper. The recent agreement to send Loris Karius to Turkish club Besiktas on a two-year deal has now seemingly confirmed Mignolet’s stay on Merseyside. This follows the collapse of a proposed move to Premier League newcomers Fulham, according to the Mirror’s David Maddock. Mignolet had also attracted interest from Serie A side Napoli, but saw hopes of a move dashed when they signed Arsenal’s David Ospina on loan. For the 30-year-old to settle as second choice would mark a strange turn of events given his well-known desire to begin starting on a weekly basis again. To spend £65million on Alisson suggests Liverpool have no intention of reverting to Mignolet in the near future, other than in the early rounds of domestic cup competitions perhaps. Any chances of challenging for the no.1 jersey again were plunged further into doubt on Monday night as Alisson produced a superb display in the 2-0 win over Crystal Palace. The exit of Karius will now also pave the way for highly-rated youth goalkeeper Kamil Grabara to begin competing for senior involvement after featuring at times during pre-season. It’s been a long time since Mignolet has enjoyed an extended run of first-team football, thereby raising serious questions over what comes next for him.